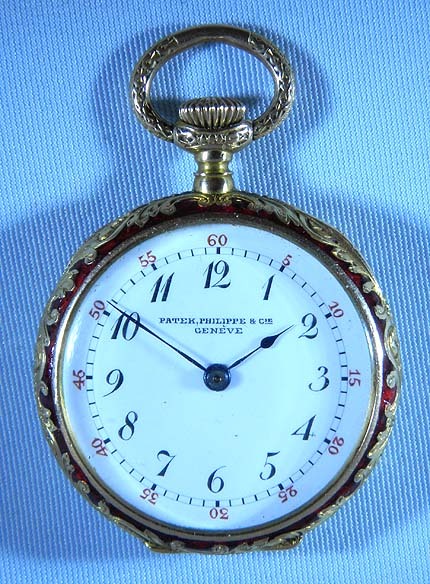 Fine and scarce Patek Philippe 18K gold and enamel ladies antique pendant watch circa 1900. 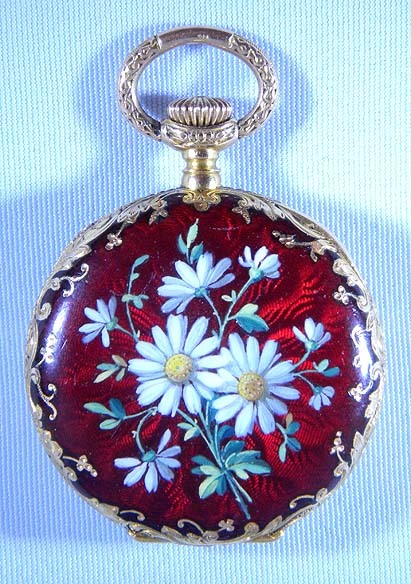 The case back with beautiful painted enamel daisies against a red enamel background over engine turning, all within engraved gold floral borders, with the design extending to the bezel. Overall scratches to the overglaze. 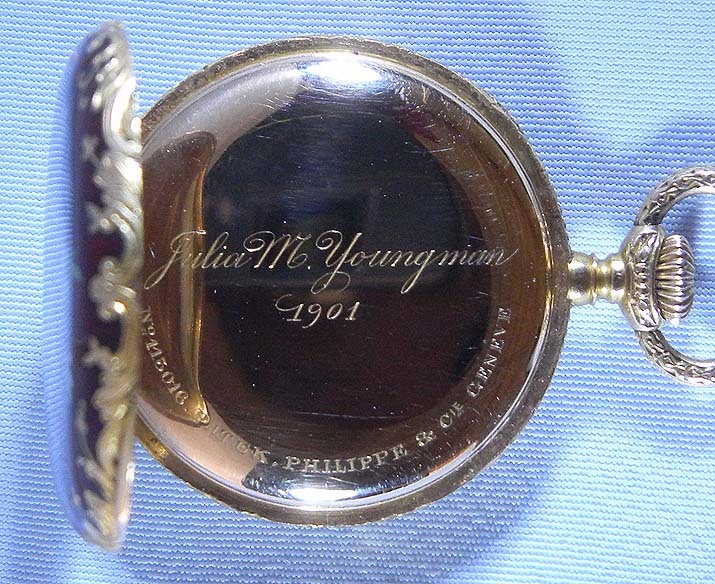 Minor restoration to the bezel. White enamel dial with red and black markings and blued steel hands. 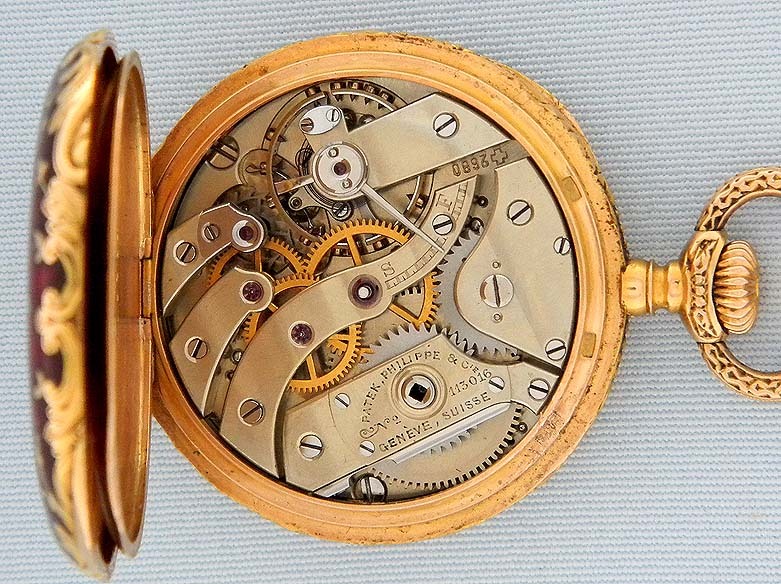 Fine nickel 18 jewel movement with wolf tooth winding and moustache pallet fork.